Captain Falcon’s over-the-top flashiness has made him one of my favorite characters to write/draw about, but it’s tricky to get ideas involving him that I haven’t done before. Like with the post office and carpool strips before this, I do get a kick out of putting him in modern suburbia and seeing where that goes. 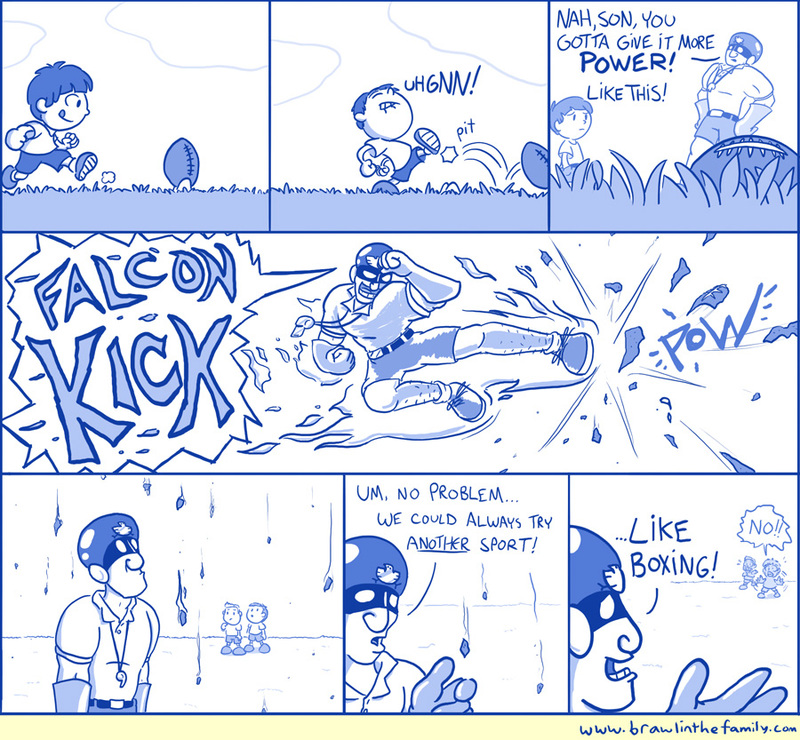 And this comic was originally named “Coach Falcon,” but I thought his double title was more fun. One more reminder for those that missed it last time (since I edited it in late): the Phoenix Wright fan-created musical of which I’m a part of (“Turnabout Musical”) has released the digital version of the Highlights CD for free download! It’s a good idea to check it out, particularly if you’ve enjoyed past musical comics on BitF, since I wrote (and sang in) several of the songs featured on the CD. So don’t be a stranger–it’s even got Capcom’s official approval! Rated PG for like one mild swear and some drug reference that I snuck in.